What Are the Bet Tips for Making a DIY Aquarium? Before building a fish tank, hobbyists should have a clear design in mind and own the proper size aquarium stand. Making your own aquarium instead of buying one can be a very challenging and time-consuming project. A few simple strategies for a DIY aquarium can help a person finish this project with minimal damage, frustration, and wasted money. Before building a fish tank, hobbyists should have a clear design in mind — including specific measurements and necessary materials — and have the proper size aquarium stand. Aquarium builders also should also have a clear understanding of how one goes together, as well as how to apply the silicone. A design for a DIY aquarium should be drawn up before any construction begins. Measurements for the front, sides, and back should be accurate. 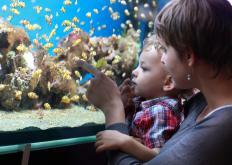 A large-capacity aquarium may seem appealing, but most experts recommend that beginners start by building a small tank. Two materials, acrylic and glass, can be used for a DIY aquarium. While acrylic may be more economical and easier to work with, it is also not as durable and scratch resistant as glass. 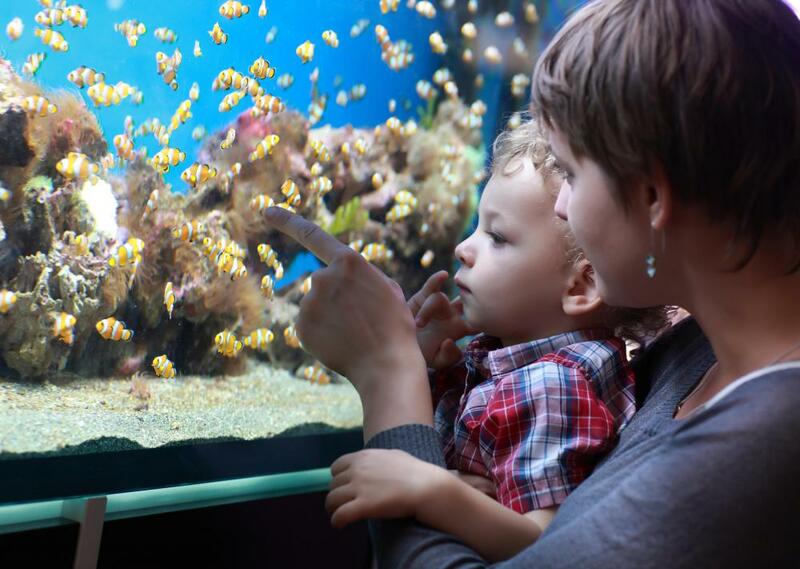 This is why glass is the most commonly used material for an aquarium. Many aquarium builders fail to consider where an aquarium will go when they are finished. Before making an aquarium, a hobbyist should have a clear spot in mind for it, along with the proper sized aquarium stand. Although aquarium stands can be purchased in many sizes, many individuals who choose to make an aquarium may also wish to create a DIY aquarium stand. Annealed glass should always be used when constructing a DIY aquarium since tempered glass has a greater risk of shattering. Though thicker glass is more expensive, it is important to get glass that is thick enough to withstand the pressure of water that will be inside. If the glass is too thin, pressure inside the tank could cause the walls to shatter. Safety is another important issue when building a DIY aquarium. Glass often has very sharp edges when cut, and this can cause a serious injury. Experts recommend having a professional cut the glass. The edges should also be sanded to avoid injury during construction. Silicone is the second primary material of a DIY aquarium. This acts as the glue to hold the panes of glass together. This material should be non-toxic, which should be clearly visible on the label. Also, since this has a tendency to dry within minutes, it is important to work it into the seams quickly. Construction of a DIY aquarium is best done with more than one person. After the glass base is laid down, two strong tape strips should be attached beneath each edge. The front pane can then be set in place, and two strips of tape can be folded up to secure it. One side can then be set in place, and while one person holds it, another can secure it with the two tape strips attached to the base. Two additional tape strips can then be used to hold the side pane to the front pane. This method can then be repeated with the other side and the back. A line of silicone should then be applied to a seam. A finger can then be run down the seam, working the substance into the joint. When the silicone has completely dried, which usually takes about 24 hours, the tank can be filled with water to test it. If the tank is still intact with no leaks 24 hours later, it should then be ready to house fish. How Much Time Is Wasted Standing in Lines? What Are the Best Tips for Making a DIY Aquarium Stand? What Are the Best Tips for Gluing Glass? How do I Choose the Best Aquarium Thermostat? What is an Aquarium Thermometer? What is a Wall Aquarium? What are Different Types of Aquarium Sculputures? 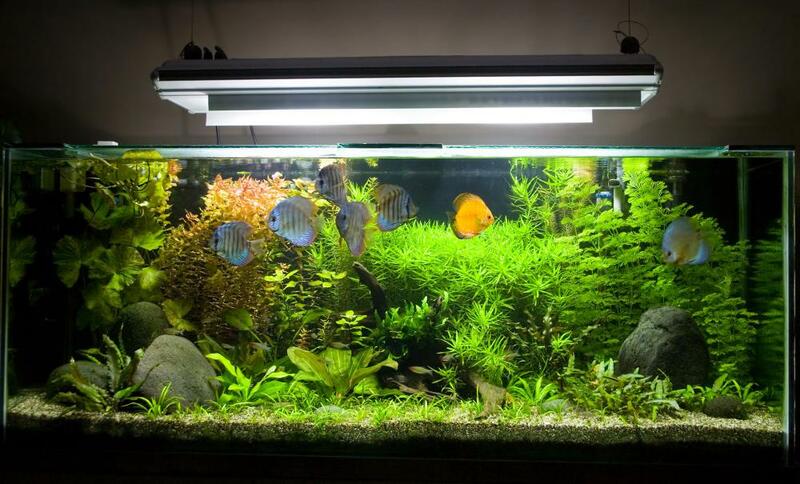 @talentryto- I agree with you about the difficulties when it comes to making a DIY aquarium, but you are correct about the necessity of making one from scratch when it comes to special designs. Some people have spaces and areas that they want to fill with unique aquariums, and they often want the type that will look custom made. For example, some people want an aquarium that fits perfectly into a corner. Others want to turn a portion of a wall into an aquarium. dry before adding fish and water. A good rule to follow when completing this project is to give the glue extra time to set and hold. If the instructions say to wait to use the materials for at least 24 hours after gluing them, you should wait at least 48 hours to be on the safe side. I have never heard of making a DIY aquarium from scratch. It sounds like it could be challenging, and expensive once you get all of the parts you need. Unless you are trying to build a design that you can't buy, I think it would be much easier and less time consuming to buy an aquarium that is already assembled.